If you want to buy cheap tunisia shirt for 2018-19 season, buy it here in cheap-football.com , Check our exclusive range of tunisia Football Shirts / Soccer Jerseys and Kits for adults and children at amazing prices. Get the cheap tunisia jersey shirts, soccer kits with wholesale price, Free Shipping Worldwide! The Tunisia national football team is the national team of Tunisia and is controlled by the Tunisian Football Federation. They have qualified for five FIFA World Cups, the first one in 1978, but have yet to make it out of the first round. Nevertheless, they created history in that 1978 tournament in Argentina by becoming the first African side to win a World Cup match, beating Mexico 3–1. They also held defending champions West Germany to a goalless draw before bowing out. 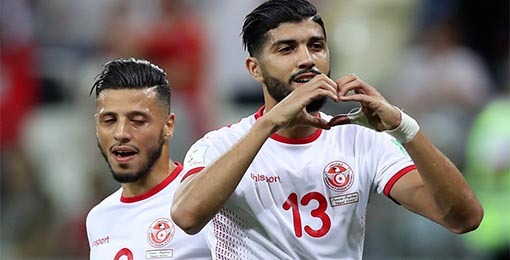 They have since qualified for three tournaments in succession, in 1998, 2002, 2006, as well as the 2018 finals.Tunisia also won the 2004 Africa Cup of Nations, when they hosted the tournament.